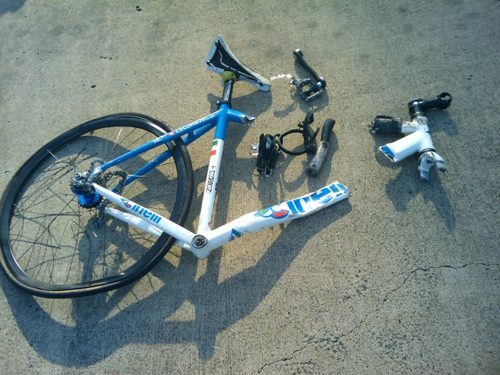 This is what happens to your bike when it “mysteriously flies off the bikerack going down the highway” says Kevin from Texas. Pretty crazy. All that survived were the Knog lights! How’s that Mr. Snob?